Move your business forward by requesting a custom quote for the Point of Sale Platform that has every tool you need to optimize your operations. 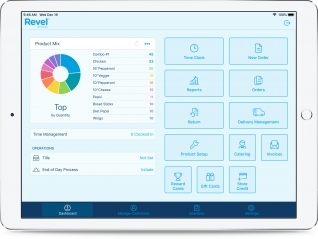 Revel's technology allows you to customize your point of sale system so you have all of the right features, functionalities, and integrations to help you generate more revenue, improve efficiencies, and delight your customers. "Revel Systems creates a better experience for the guest in terms of visibility with the customer facing display, but it also helps from a team member standpoint. It’s easy for them to use and frees them up to do what’s most important, which is deliver that “wow” experience for the guest." 2019 © Revel Systems. All Rights Reserved.